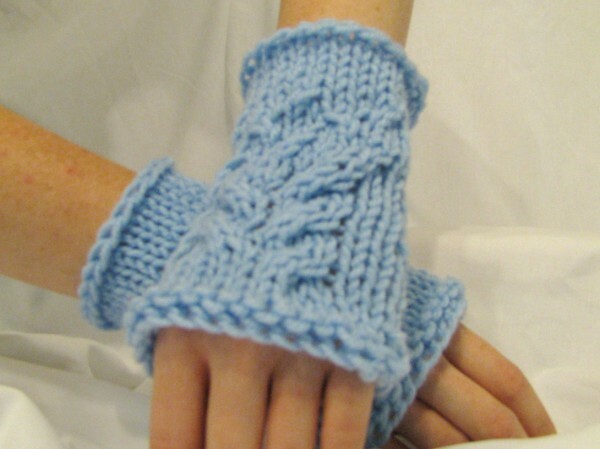 You’ll find my free patterns on this page. They should be labeled whether they are done on the Kiss Loom or the Knifty Knitters. And if I think they can be converted, it will be noted. 🙂 To receive your free download, just click on the title of the pattern. 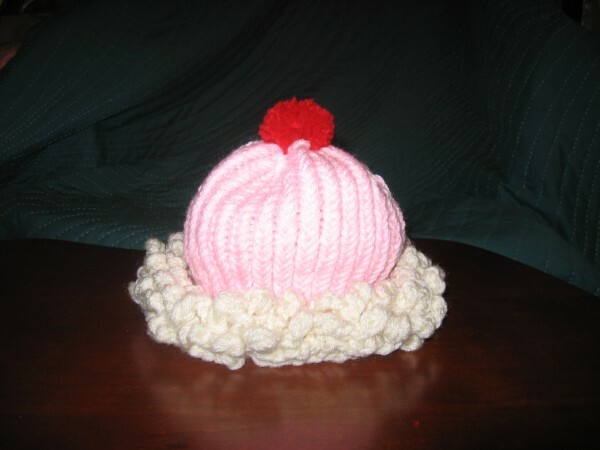 This is a good hat for warm months, hence the name ‘Summer Spirals’. This pattern doesn’t convert to the KK so well. The eyelets aren’t as open looking, but it is still doable if you would like to try. This scarf is a lace pattern created specifically to celebrate the Kiss Loom’s first birthday! It can be done on just about any loom with 15 pegs, but I would keep it to a small guage or finer, otherwise it might look pretty funny. LOL! This tote is named after my good friend, Jeannette Pirkle. She sent me the yarn for my birthday, so that I could make myself a felted baguette. She had no idea that I would end up making up a new pattern. LOL! This was done on the Kiss Loom, but the pattern is vague enough that it could be done on just about any loom as long as you use the appropriate yarn to accomodate the guage of the loom you are using. NOTE: The larger guage loom you use, the larger your front and back panels will be, so it is probably best to decrease the number of rows for those sections. This is another pattern that was designed especially to celebrate the Kiss Loom’s first birthday. It was done on 24 pegs and I think that it could be done on the blue round KK and Lion Brand Thick & Quick, with no changes to the pattern. 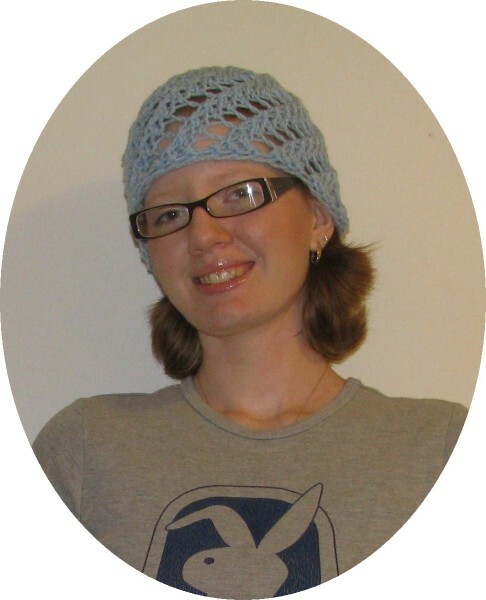 Done on the red round KK and easily converted to other round KK looms, this was the second hat I ever designed. And here I thought it was the silliest hat on earth, but my daughter loved it so. 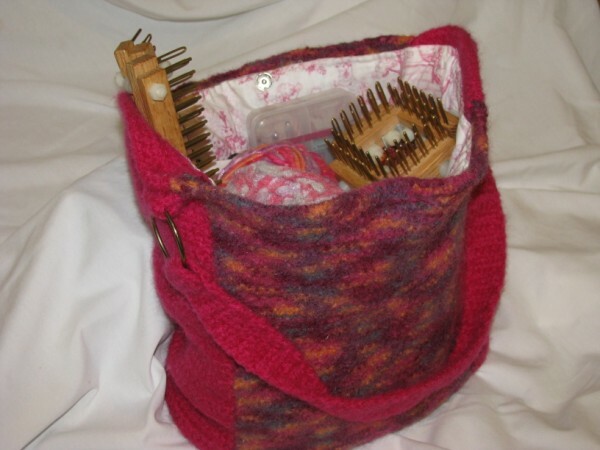 I soon taught the pattern in the Loom Class Yahoo Group and I had about 40 enthusiastic students and all kinds of spin-off designs including toilet paper covers and tissue box covers and some booties to match. It made me very proud of the hat and all my students! 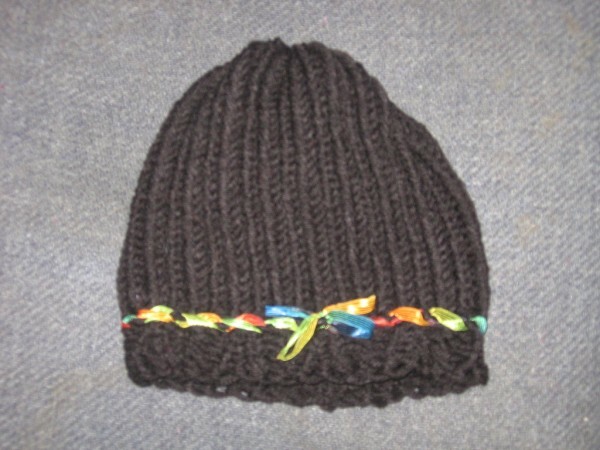 This hat was done on the green round KK loom. It has a ribbed brim and an eyelet row to put the ribbon through. The hat on the pattern is done in white, while this one is black. I wanted to show that it could be done in different colors. Great patterns for a starter, thanks Robin. Love the Strawberry Sundae Delight! It is so cute. Thank you for creating, sharing and teaching us through out the year. Your wonderful! Hi Robin! I’m new to looming but am a seasoned knitter. Which loom do you prefer? I see you use the KISS loom as well as the KK. I have the KK looms and know they are flexible. 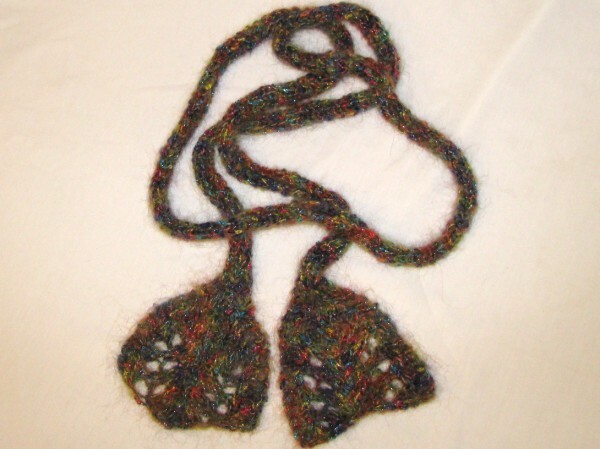 The KISS looms look a little more complex with possibly easier knitting. I love the cup cake hat. Just found your site. Nice job.